For more than 35 years, JEDA has promoted the business and economic welfare of South Carolina by assisting in the financing of public and private projects throughout the Palmetto State.  JEDA serves as a statewide conduit issuer of special obligation revenue bonds and acts on behalf of the borrower to access financial markets and capital. Since its creation in 1983, JEDA has facilitated the issuance of 531 bonds for over $10.9 billion and resulting in the creation and retention of more than 249,147 jobs. JEDA acts as a “conduit” issuer of bonds on behalf of a borrowing entity. Under the Internal Revenue Code, certain for-profit entities and Section 501(c)(3) organizations can finance their projects with tax-exempt bonds, but these entities cannot do so directly. Therefore, entities do not borrow from JEDA, but rather through JEDA, using JEDA as access to the capital markets at tax-exempt rates. For more than 35 years, the South Carolina Jobs-Economic Development Authority (JEDA) has been committed to connecting South Carolina’s businesses with funding opportunities needed to advance economic growth in healthcare, education, manufacturing and solid waste sectors. 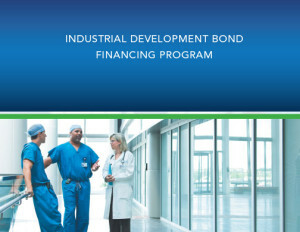 Annually, JEDA aims to highlight numerous bond deals via our annual report. 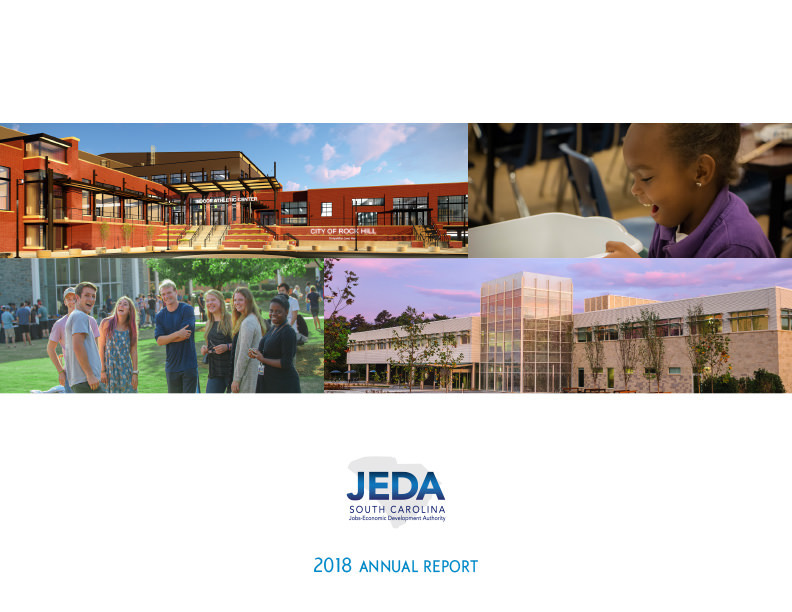 These are comprehensive reports of JEDA’s activities throughout the preceding year, providing our stakeholders and the general public information about the tremendous impact JEDA makes in South Carolina each and every year. JEDA assists in the financing of eligible projects by serving as a conduit issuer of special obligation revenue bonds. Qualifying entities borrow money through, not from, JEDA. This allows the entity to reduce its borrowing costs using tax-exempt bonds. JEDA’s Board of Directors is comprised of ten dynamic leaders from across the state who lead by example, integrity and leadership qualities, both earned and learned. Each Board Member represents their respective congressional district and/or their leadership position within South Carolina’s government.